All kinds of Capital Machineries for the development of economy giving special emphasis on Agro based industries / Ready made Garments industries and imports substitute industries. Import of all kinds of industrial Raw Materials for the industries. Any other improved items and specially items directed by the government. Financial assistance to all kinds of export oriented industry and other products specially export of fruits & vegetables. Offers Concessional rate of interest for Export Finance. Helps the export firms for getting export incentive. Financial support for materializing the export order. 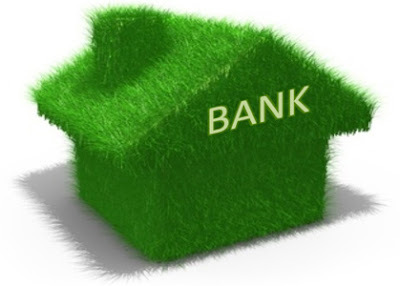 Agricultural bank plays an important role in the field of foreign remittances. Most of the agricultural bank branches located at the remote areas of rural Bangladesh. The Bangladeshi people working abroad and their relatives in the country maintain bank accounts with agricultural bank branches. Bank has an arrangement to allow Bangladeshi people working abroad to send their foreign currencies to their relatives at home. Necessary steps have been taken to widen this sector so that the Bank can serve more people and collect more remittances. S.W.I.F.T. (Society for Worldwide Interbank Financial Telecommunication). Bangladesh Agricultural bank is now a proud member of SWIFT. It is connected with modern international financial telecommunication system. L/C advising/transferring and quick transfer of remittances as well as other financial correspondences have become very easy & speedy with the installation of SWIFT. Bangladesh agricultural bank s SWIFT BIC IS "BKBABDDH"
Agricultural bank extends its service to the travellers by endorsement of cash FC/TC in passports. Bangladesh Agricultural bank renders Hajj services to the pilgrims which is 3rd highest in the banking sector. Bangladesh Agricultural bank deals in spot and forward sale and purchase of foreign currency in local inter-bank market. 1. Bangladesh Agricultural bank Local Principal Office, Dhaka83-85 Motijheel Commercial area, Dhaka-1000, Bangladesh. 2. Bangladesh Agricultural bank Kawran Bazar Corporate Branch, Dhaka50, Kazi Nazrul Islam Avenue, Dhaka-1215 Bangladesh. 3. Bangladesh Krishi Bank Chawk Bazar Branch, Dhaka16 Water Works Road RahamatGanj (Dalpatty) Dhaka, Bangladesh. Narayangonj 159 B B Road, Narayanganj 1400, Bangladesh. Agrabad Corporate Branch, Chittagong Noor Mansion(1st Floor) 15 Agrabad Commercial Area Chittagong, Bangladesh. 6. Bangladesh Krishi Bank Chittagong Corporate Branch, Chittagong 61, Jubilee Road, Chittagong 4000, Bangladesh. 7. Bangladesh Agricultural bank, Chalpatty Branch, Chittagong New Chaktai Chittagong, Bangladesh. Khulna16 Sir Iqbal Road Khulna 9000, Bangladesh. NS Road Kushtia 7000, Bangladesh. Tel 88-071-62070. 10. Bangladesh Agricultural bank Sylhet Corporate Branch, Sylhet Zindabazar Sylhet 3100, Bangladesh. 11.Bangladesh Agricultural bank Haluaghat Branch, MymensinghHaluaghat Mymensingh 2260, Bangladesh. 12. Bangladesh Krishi Bank Sharsha Branch, JessorPO. Sharsha Jessore, Bangladesh. 13. Bangladesh Agricultural bank Tea Board Branch, ChittagongBayezid Boistami Road, Bayezid Chittagong, Bangladesh. 14. Bangladesh Agricultural bank Banani Corporate Branch, Dhaka46 Kemal Ataturk Avenue Banani, Dhaka . 15. Bangladesh Agricultural bank Sholo Shahar Branch, Chittagong.Krishi Bank Bhavan CDA Avenue, Sholo Shahar Panchlaish Chittagong-4203, Bangladesh. Standard Chartered Bank, Kolkata (Calcutta), SWIFT/BIC:SCBLINBB, Account No:22205381878.